요즘 혼밥을 즐기는 분들이 많아졌는데요! 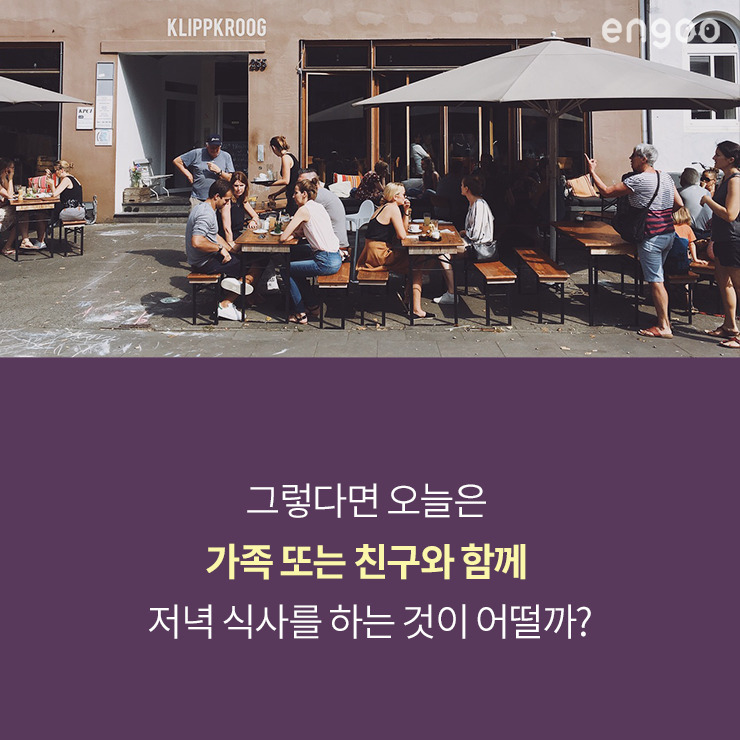 하지만, 과연 혼밥은 우리의 건강에 어떤 영향을 미칠까요? 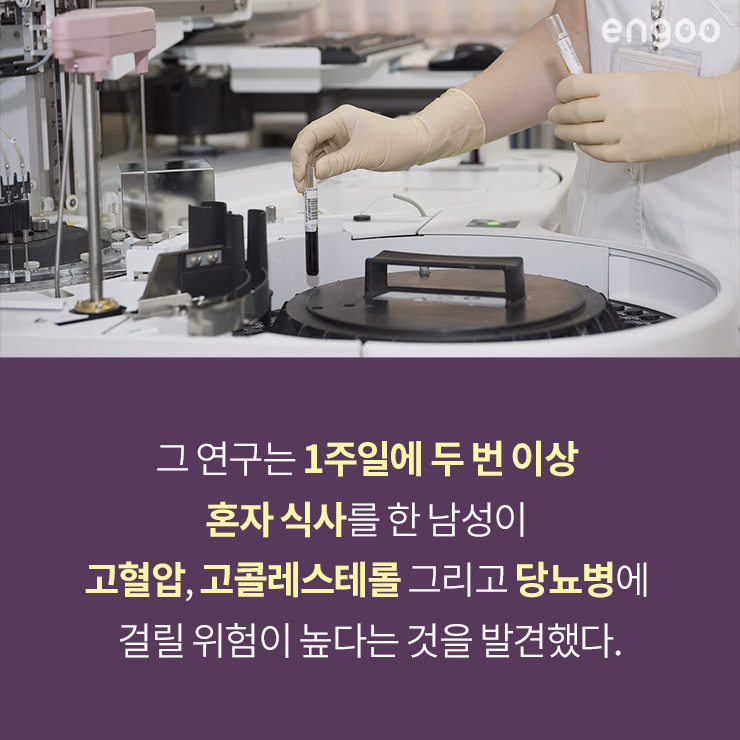 엔구 데일리뉴스를 통해 한 번 알아보도록 하겠습니다! 혼밥은 건강에 좋은 것일까, 나쁜 것일까? 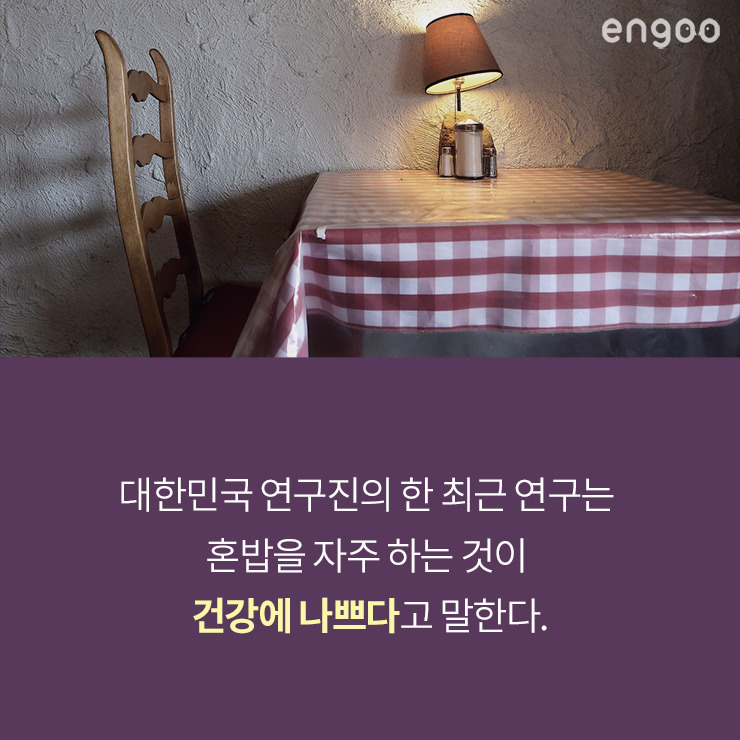 대한민국 연구진의 최근 연구는 혼밥을 자주 하는 것이 건강에 나쁘다고 말한다. 그 연구는 1주일에 두 번 이상 혼자 식사를 한 남성이 고혈압, 고콜레스테롤 그리고 당뇨병에 걸릴 위험이 높다는 것을 발견했다. 한창 성장하는 10대 아이들에게도 가족과 함께하는 식사 시간이 전체적으로 긍정적인 영향을 미쳤다. 미국의 한 건강 관련 웹사이트는 1주일에 적어도 한 번은 다른 사람과 함께 식사해야 한다고 조언한다. 오늘은 가족 또는 친구와 함께 저녁 식사 자리를 가져보는 것이 어떨까? Is eating alone good for our health, or not? A recent study from South Korean researchers suggests that frequently eating alone is bad for your health. The study found that men who ate alone more than twice a week had a greater risk of developing high blood pressure, high cholesterol and diabetes. For growing teens, having dinner with their family had general positive effect on them. A US website says to make room for at least one shared meal a week. Today, how about having a dinner with your friends or family? 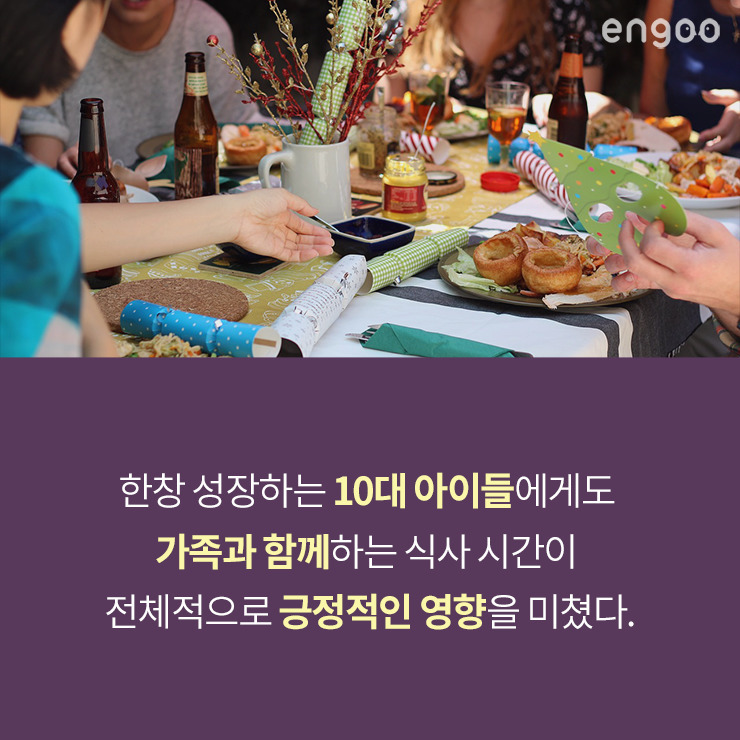 오늘 배운 기사를 100% 무료 제공되는 데일리뉴스로 더 자세히 보고 싶다면? 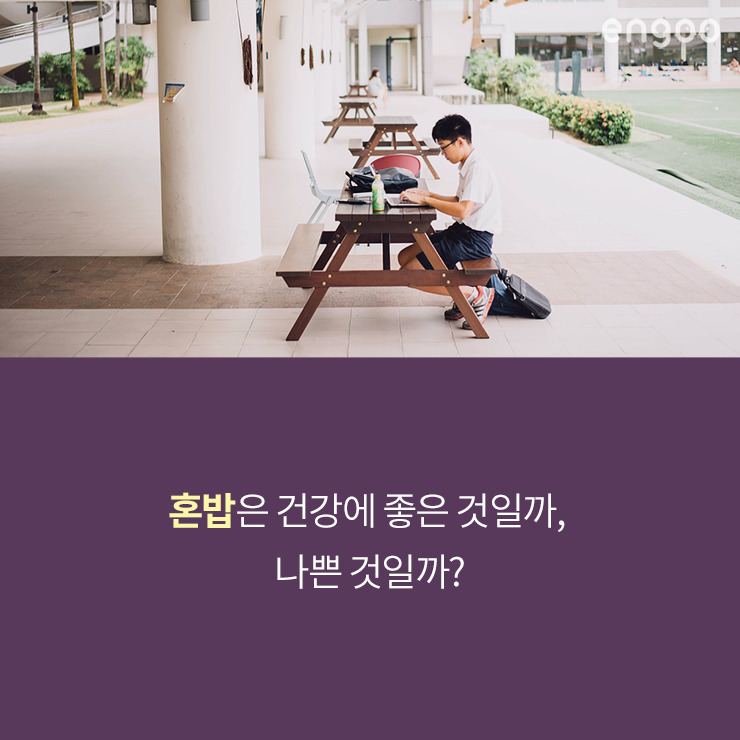 ’지하철이 만원이었어!’ 영어로? 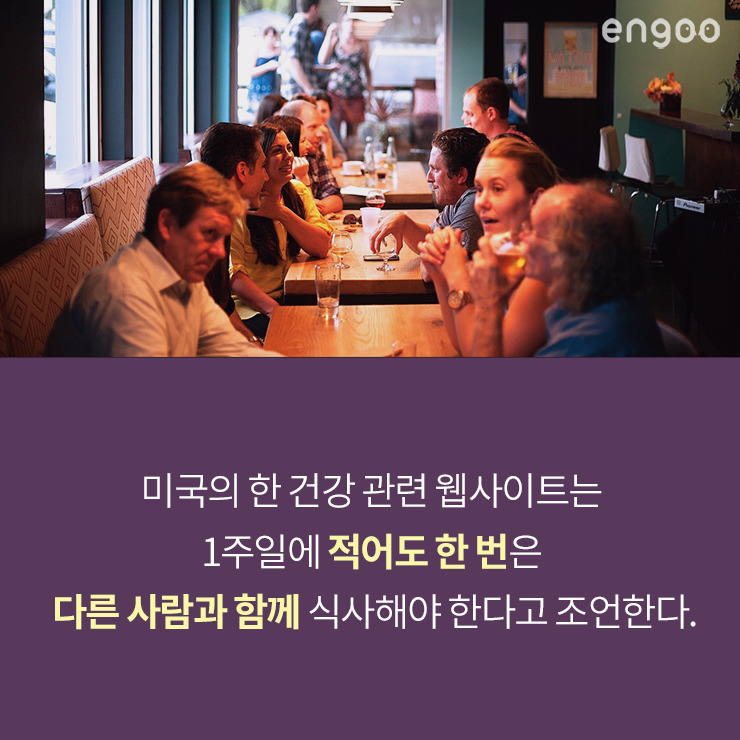 생활 밀착형 영어 표현 알아보기! ‘존맛탱’영어로? 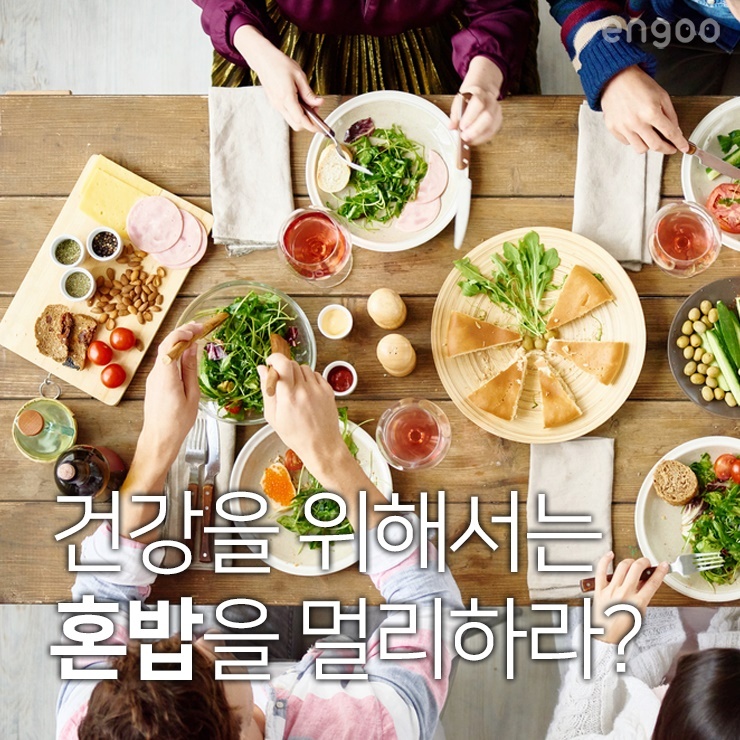 delicious로는 한참 부족한 회화 실력 보충하기!